Parental Guidance Movie Trailer and Poster Arrive. 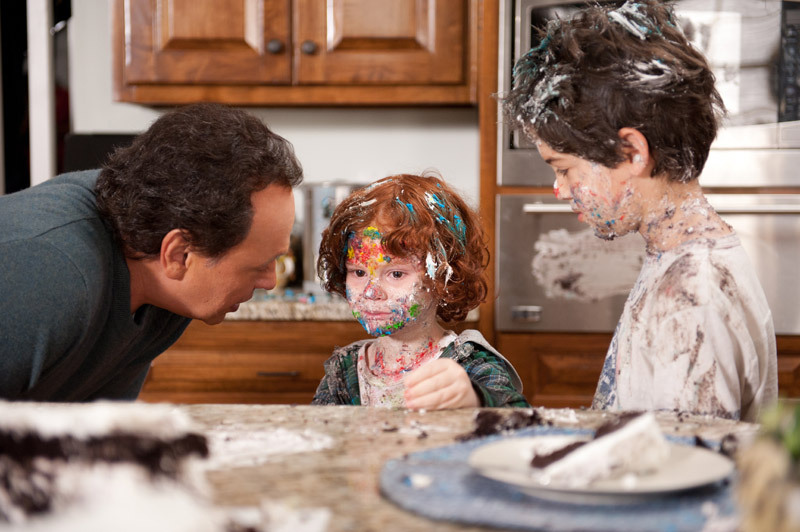 Billy Crystal, Bette Midler, Marisa Tomei and Bailee Madison star in the family comedy. See the movie trailer, photos and movie poster for Parental Guidance below. When their daughter (Tomei) goes away for work, grandparents Artie (Crystal) and Diane (Midler) find themselves having to take care of their three grandkids using 21st century methods — though they soon resorts to an old-school style of parenting. MPAA Rating: (PG) for some rude humor. Old school grandfather Artie, who is accustomed to calling the shots, meets his match when he and his eager-to-please wife Diane agree to babysit their three grandkids when their type-A helicopter parents go away for work. But when 21st century problems collide with Artie and Diane’s old school methods of tough rules, lots of love and old-fashioned games, it’s learning to bend – and not holding your ground – that binds a family together.